Hundreds of food safety violations cited at P.E.I. eateries since 2014 - blogPEI | Prince Edward Island - Breaking News. Health inspectors found hundreds of food safety violations at P.E.I. restaurants and other food establishments between 2014 and 2017. While some locations had ongoing issues, environmental health officers say they prefer to concentrate on education to fix issues rather than close places down. CBC News took a close look at all the establishments named for violations on the P.E.I. government website — the information there goes back to the fall of 2014. 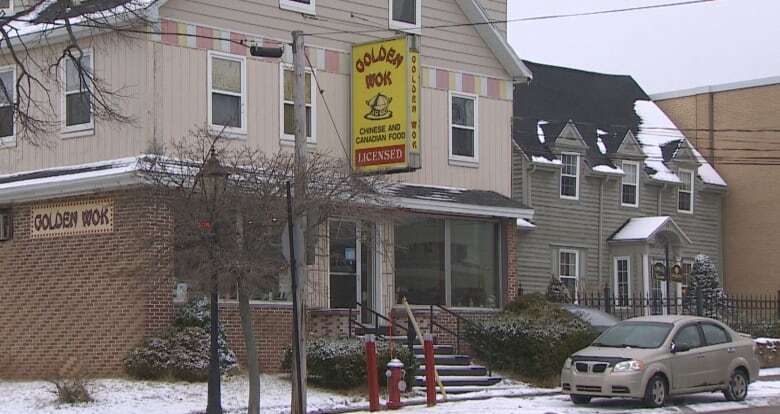 The Unique Wok, also known as the Golden Wok, in Charlottetown was cited for 37 violations in 2017 — the most of any restaurant on the website — and a total of 51 violations between 2015 and 2017. Its most recent inspection on Jan. 5 found no problems. "I made [a] big mistake last year," said Jun (Frank) Liu, the owner of Unique Wok, adding that he's worked with health officers over the past year to make improvements. Liu said health officers told him what needed to be changed and replaced, and he did those things, adding that he's spent about $10,000 on improvements in the past year and has fixed every problem health officers identified. He bought a new restaurant-size wok and dishes, and now has the kitchen thoroughly cleaned regularly, along with regular monitoring by pest management. 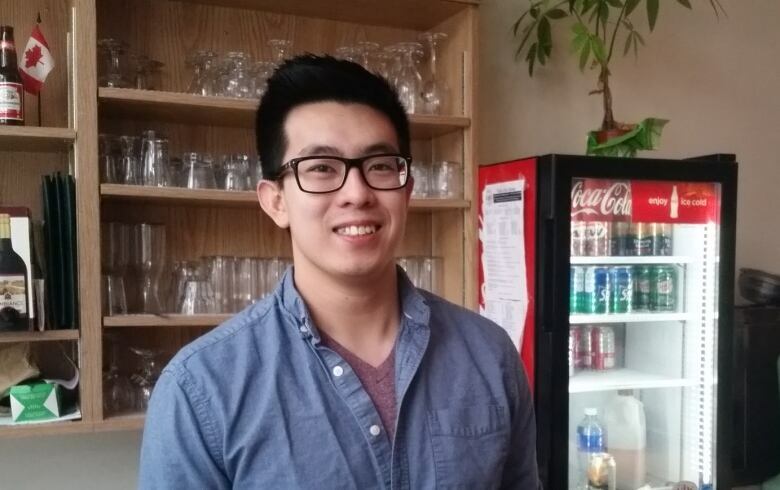 Liu is also studying at UPEI and bought the restaurant a couple of years ago — the first one he's ever owned. In hindsight, he says, he should've spent more time at the restaurant. He said he is doing that now. "I try my best. I want to make everything better," said Liu. " I hope everybody can give me one more chance." The violations found at Liu's restaurant are ones commonly identified in inspections, including problems around proper handwashing practices, dishwasher procedures, food contact surfaces protected from contamination, following a sanitation plan and cleaning schedule, and keeping food at correct temperatures. "Obviously food needs to be stored at proper temperatures in order to prevent pathogens from growing in the food and making people sick," said Ryan Neale, manager of environmental health with P.E.I. 's Department of Health and Wellness. There are strict requirements for hot, cold and frozen foods. 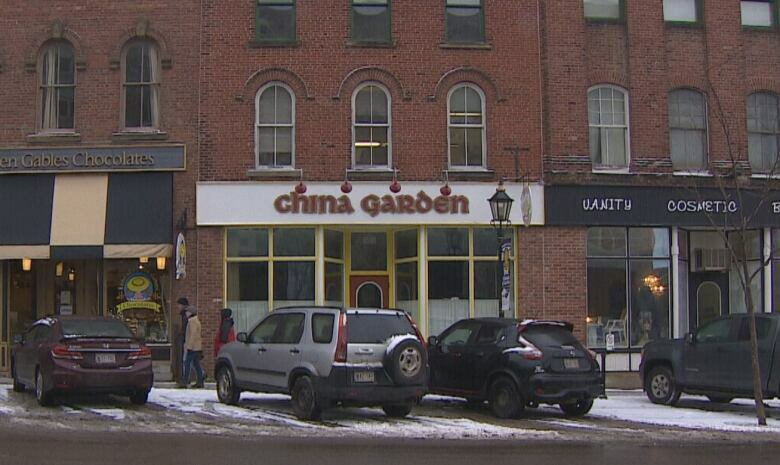 Charlottetown's China Garden Restaurant was also among the restaurants with double-digit violations last year: 12 in 2017 and a total of 48 since late 2014. Its last two inspections (July and Dec. 2017) found no issues. Kevin Zhang works at China Garden and speaks on behalf of his parents, who own the restaurant. He says he's happy health officers were able to work with his family to address outstanding issues. Zhang said the violations stemmed from "a lot of little things" that arose from what he calls "cultural differences." For example, inspectors wanted staff to clean their woks in the dishwasher after each use. That, said Zhang, leads to rust and the wok breaking down. He said the woks are cleaned thoroughly, by hand, after each use. Zhang said health department staff worked with his staff one-on-one to find solutions that "respected health standards and prevented cross-contamination." In all, 98 P.E.I. food premises were cited for violations in 2017 said Neale — about 70 of those just for not renewing their food premise licence, an administrative violation that can be remedied on line the same day. 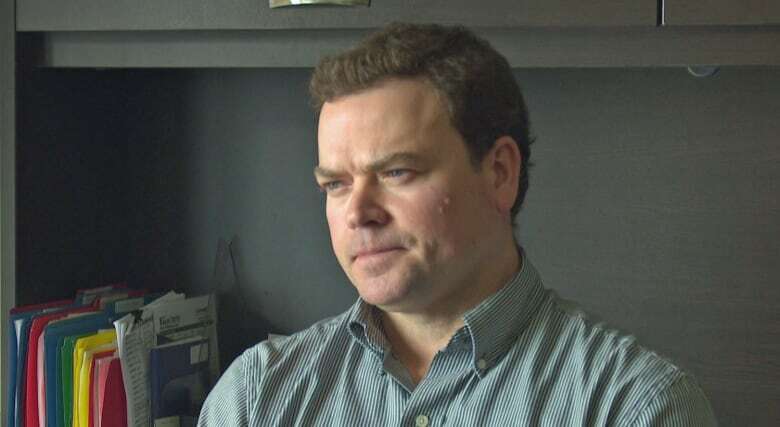 Neale estimates the 7.5 officers inspect about 2,000 food establishments across P.E.I. Those include school lunch programs, child care centres, hospitals, along with fast food outlets, seasonal venues, and year-round restaurants. The annual inspections aren't scheduled and take 30 minutes to a couple of hours, depending on the circumstances. All food premises are inspected at least once a year. That frequency increases based on how many people they serve, the variety of food prepared, and whether there are ongoing issues. The Unique Wok, for example, had 19 inspections since Jan. 2015, including eight in 2017. The China Garden had 19 since Dec. 2014, including six in 2017. "We certainly have the best interests and the safety of the public in mind when we're working through a lot of these situations," said Neale. "So do the operators. But oftentimes there's just that lack of understanding in how food safety and food handling relates to protecting their customers from foodborne illness." If officers find violations in those surprise visits, they schedule follow ups to make sure problems are addressed. If the issues aren't fixed, officers issue a warning. Neale wouldn't speak to specific cases but said if necessary, officers work with staff to make sure they're following the rules. "We're obviously on site more often and able to not only verify that things are moving in the right direction but also work with the operator and the staff in terms of educating them and developing that culture of food safety," said Neale. "In some of those cases it's still ongoing, that education — that frequency of inspections remains kind of an elevated level until we're comfortable that things have returned to a standard that we're comfortable with." That education starts with the province's food safety course. Every restaurant or establishment must have an employee working on site who has taken the course. Failing to do so warrants a violation. About 1,250 people took the province's food safety course last year. "Operators are making an effort. They don't want to make their customers sick and the majority of them are more than happy to work with us in raising that standard if that's what's required." When problems persist, Neale said owners can be called into his office for a meeting. He said that's happened a couple of times in the last couple of years. "Oftentimes when that file is placed in front of them and they see the number of violations and failed inspections that they've had over a period of time, it's generally an eye opener for them. And that can tend to lead to some change." Shutting down a facility is a last resort, used only if there's an immediate risk to public health, said Neale, adding that hasn't happened on P.E.I. in more than a decade. However, he stressed that officers are able to deal with any health issues while they're on location. If they find food isn't stored at the correct temperature, for example, they can throw it out during the inspection. Wondering about your favourite eatery? New Brunswick requires restaurants to post their inspections in a public place. However, P.E.I. only requires restaurants to post their licence and food safety course certificates. Neale said if Islanders have questions about food safety before they go out to dine, they can check out the inspection reports online. However, not all inspections are showing up online for 2015-16, which Neale said he has reported to the IT department. The website, for example, only shows 500 locations were inspected. Neale said violations can happen at any location, no matter what you pay for your meal. "We could visit potentially the best restaurants in P.E.I. and we can still see violations. It doesn't mean it's not safe to eat there. It just means that there's an opportunity for us to work with the operator to raise that standard if that's what's required." Click on the restaurant name to get details on the violations. In all cases the most recent inspection has found no health safety concerns.